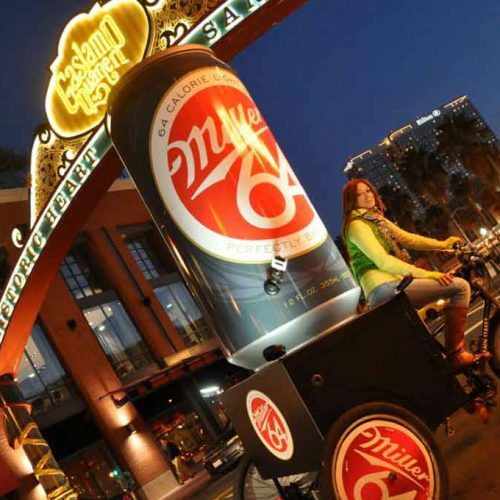 For this campaign, Miller 64 was looking to make an especially unique visual impact on bar-goers in San Diego’s popular downtown bar district. 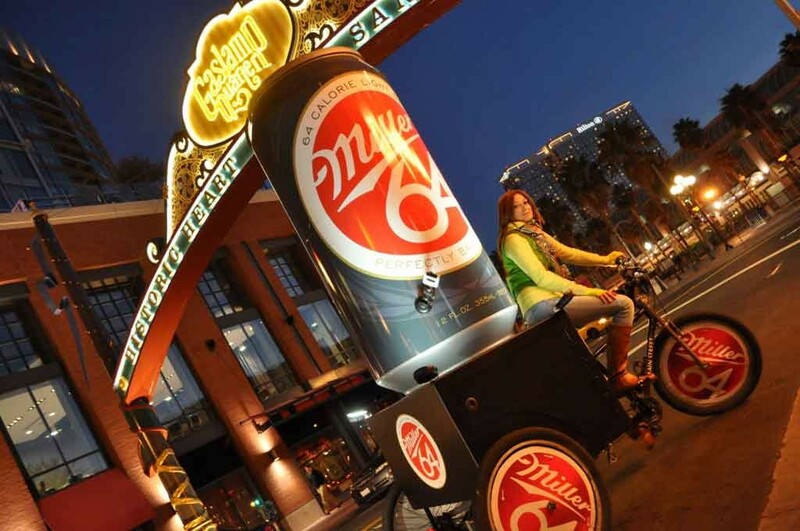 Pedicab Outdoor designed a custom-fabricated Miller 64 can and mounted it to the back of a pedicab frame. Twenty other pedicabs were also branded and drivers distributed collateral every Friday and Saturday evening for six weeks. The campaign also encouraged drivers to interact directly with consumers with the distribution of collateral. In one weekend, drivers distributed more than 2,500 units that included beer cozies, bottle openers and other promotional materials. By the end of the campaign, brand awareness was increased to a wide and targeted audience. Custom-fabricated pedicab, Full vinyl wraps, Brand Ambassadorship.